We love all the treats and goodies that come along with holidays, but it’s also fun to incorporate some healthy snacks along the way. We’ve gathered some healthy Easter snacks for kids that we are excited to try over the next few weeks. They can be fun to make ahead of time for your kids, but we also like to treat them like artistic invitations. Gather the ingredients and invite older kids to create their own healthy Easter snacks inspired by the original! 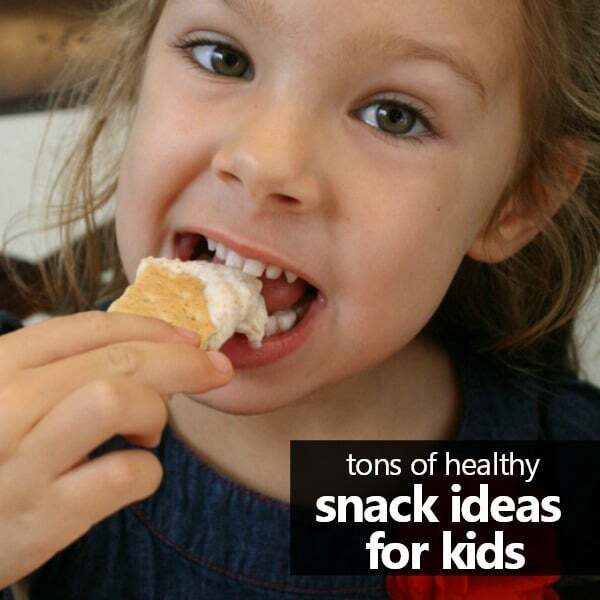 Cheese and crackers are the stars of this adorable chick snack idea from Meet the Dubiens. Prefer a fruit snack? Try this cute pineapple chick from Meet the Dubiens for Kix as a fruity Easter treat. Have pizza lovers at home? Who says pizza can be an Easter food?! Try these carrot-shaped mini pizzas from Hungry Happenings. Let kids decorate their own Easter egg quesadillas with this cute idea from Itsy Bitsy Foodies. 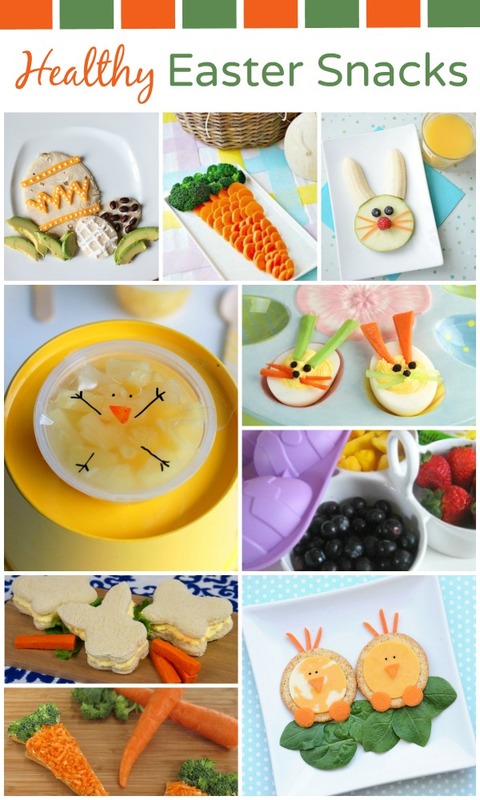 You can make this fruit bunny snack from Meet the Dubiens in just a minute or two. Don’t let all those dyed eggs go to waste. Make Easter shaped egg salad sandwiches. Make bunny deviled eggs with these easy steps from Paas. Short on time? This carrot snack is quick and easy to make. You can make a large one for a party platter or individual ones for your kids. Looking for something that’s healthy but tastes like an Easter treat? 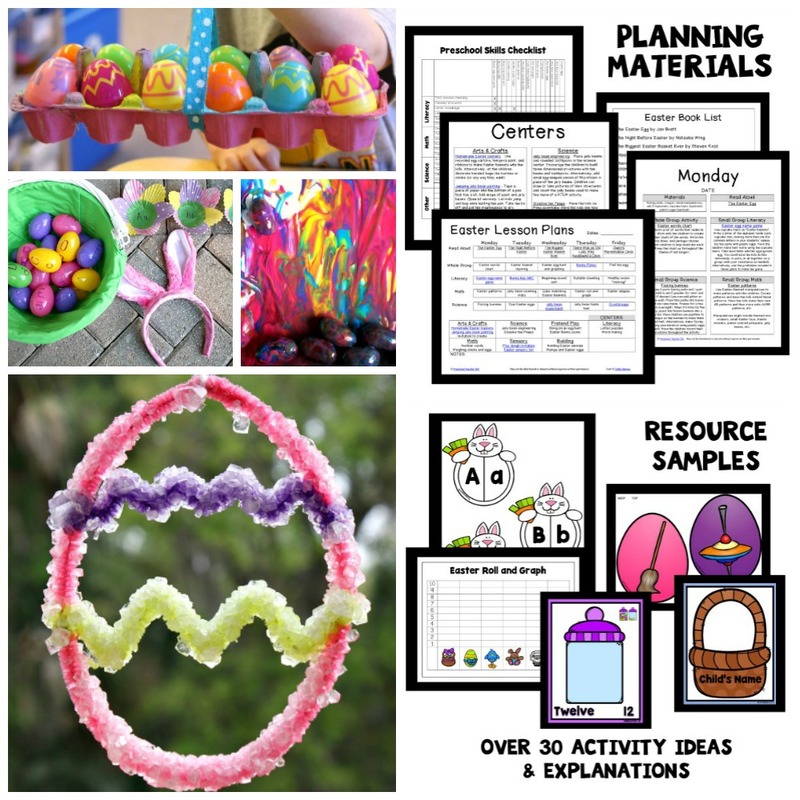 Try these easy frozen Easter egg snacks from No Time for Flash Cards. Not home for snack time or looking for something you can send with kids on the go? Try these easy fruit cup chick snacks from No Biggie. Yay! Love these healthy ideas. Thanks!